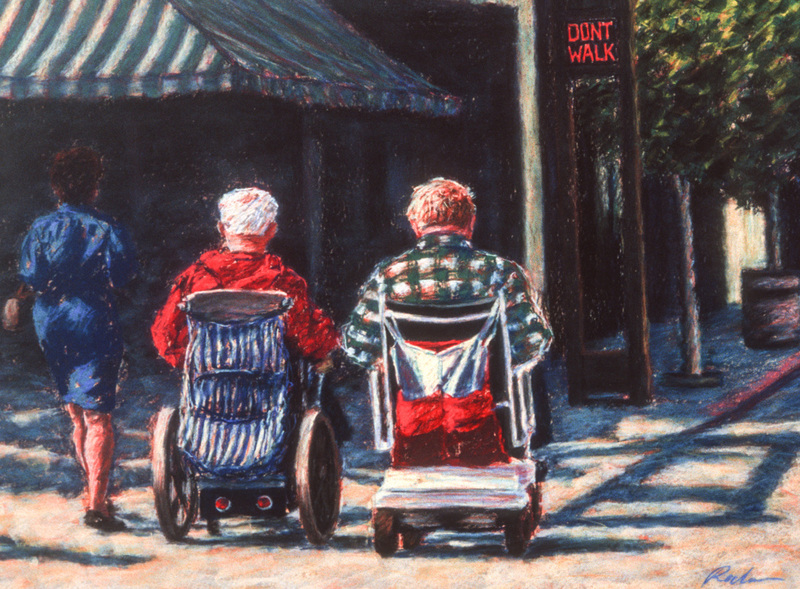 I love this painting of the two older men who I believe were downtown shopping together crossing the street. The "Don't Walk" sign in the background just happen to be lit. This original pastel on paper is in a private collection. Prints are available. 7" x 9.5"9" x 12.25"11" x 15"13.25" x 18"